Add $.10(A) for Gold Plating. Any Custom Shape. 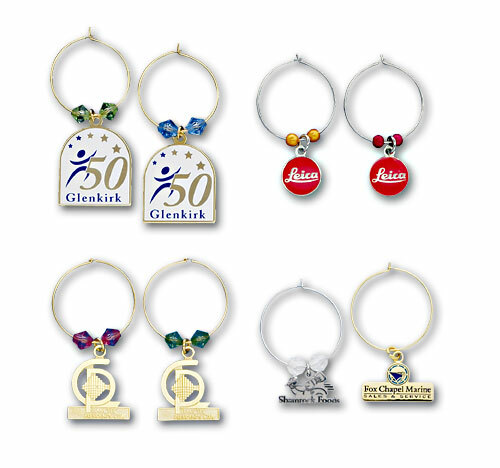 All wine glass charms come with a charm loop, jump ring and beaded loop. Each loop has two colored beads. (same color on each charm).